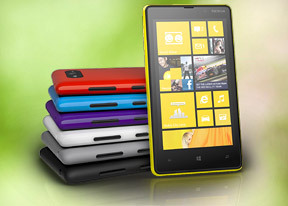 I wonder if I can transfer all my DATA from my old Nokia N9 to a Lumia 820 ? I upgraded my 820 to WP 10 yesterday. The 820 needs to by on WP 8.1 at a certain build number. Join the Windows Insider program, download the app from the store and upgrade. It takes awhile but it worked for me. So far no problems, phone works fine up to now but as stated it has only been a few hours. Google WP 10 and the instructions can be found. Spapzen, 22 Nov 2015Been using this phone for over 3 years now and must say it's the best phone I ever had. Curren... moreCan I upgrade the Lumia 820 to windows 10 if yes how do I go about it. Can I upgrade it to windows 10 if yes how do I go about it. 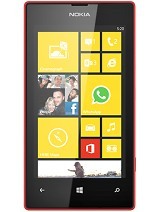 The Nokia Lumia 820 is great phone and i am using this phone from last 3 years, still no problem with the phone. Camera is awesome. How to clean camea lense? Should I go service centre. Reply please buddies. Love this phone so much for size, design, carl ziess lense, turbo speed, lag free performance, HD video recording and so on. 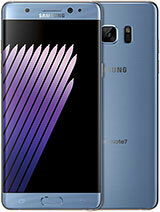 This is finest smartphone ever. i'm using this phone for more than 2 years, its really solid, responsive, it falls many time and still work absolutely fine, i was thinking of changing my phone, but i didn't find a good phone that worth to change my phone when this phone is still in good condition and lovely. I got my phone in June 2013, the next year we got one for my gf as well. Sometimes our phone displays have been broken and we have iphone 4s for replacement - damned be the time spent on iOS, it just doesn't feel right. Both phones have new screens now and still running strong. One of them on 8.1 and the other one 10 preview. I would love to see 10 actually released now AND it would be sweet to have miracast enabled as well as the hardware ACTUALLY supports it. It is software limitation. been using this for 2 years now. have droped it multiple times now, but it is still working great! Durability wise, Nokia is the best. Wish to have a Windows 10 update available for it.